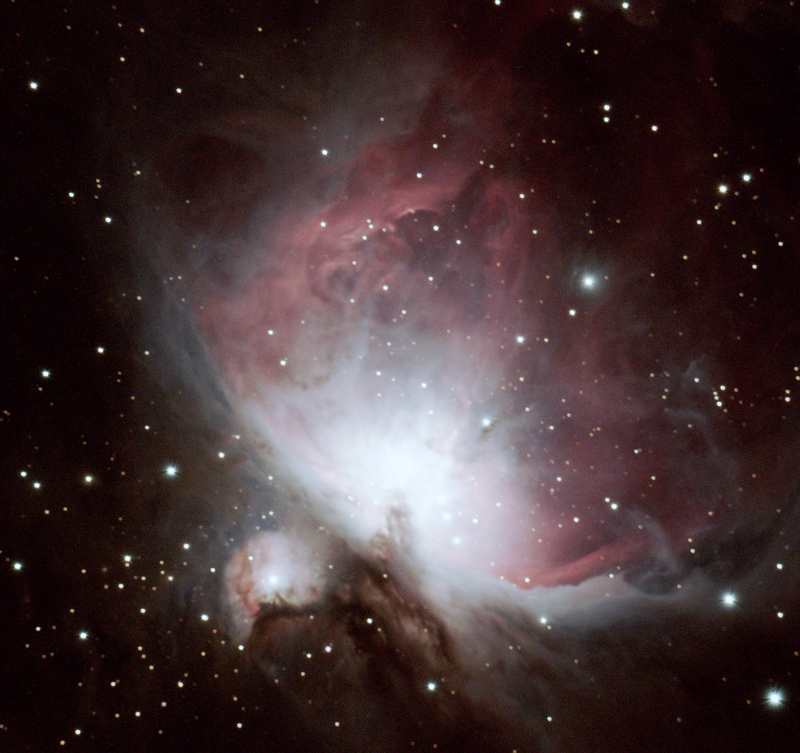 On the evening of May 29, 2015, the Insight Observatory and Cotuit Library staff had the pleasure of hosting a planet observing session opened to the public in Cotuit, MA, a village of the town of Barnstable located on Cape Cod. The event was attended by around 20 people of all different ages and as young as 3 years old. 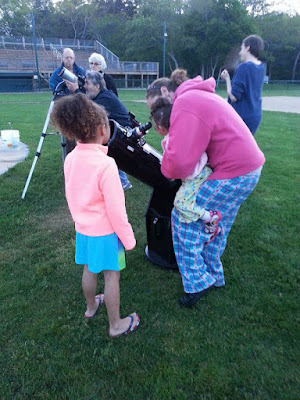 These folks were eager to get their first telescopic view of the planets Venus, Jupiter, Saturn as well as the gibbous Moon as well as the gibbous Moon. look at the Moon through a telescope. Several telescopes that were provided by the Cotuit Library and Insight Observatory were set up just behind the pitcher's mound at Lowell Park, the baseball field that is the home of the Cotuit Kettleers. The Kettleers baseball organization was very generous to allow this observing session to take place on their home field. 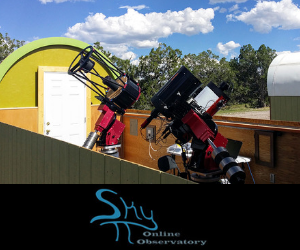 Due to the phase of the moon almost being full, the observing session was focused on observing the planets that were visible and the moon itself. The first target of the evening was the planet Venus that was starting to dip down towards the west just after twilight. Insight staff member, Harry Hammond was manning the library's 8" Dobsonian telescope (which is available for checkout for those who have a Cotuit Library card) and I had the controls of Insight Observatory's 10" Dobsonian telescope. When our guests were viewing the planet, they would shout out with tones of astonishment "It looks like it has a phase like "the moon". We only see a little over half of it". We then moved on to Jupiter, about 20 degrees east of Venus. I figured that the excitement of seeing 4 of the giant planet's moons was going to be the highlight of viewing this planet, however, it was the equatorial cloud belts that the observers could see on the planet's disk is what amazed them most. Then there was the bright gibbous moon farther east from Jupiter that was waiting to be viewed by everyone. The "Wow Factor" here was wonderful! The observers could not believe the detail they were seeing on the lunar surface. Two of the Moon's most prominent craters, Copernicus and Clavius stood out very prominently. Now for the grand finally, Saturn had just risen above the trees toward the east, so we guided both telescopes toward the ringed planet and because Saturn had recently reached opposition, the view was spectacular with Cassini's division obviously visible separating the rings. One observer said, "I thought I would never see the rings of Saturn in my lifetime, thank you!"